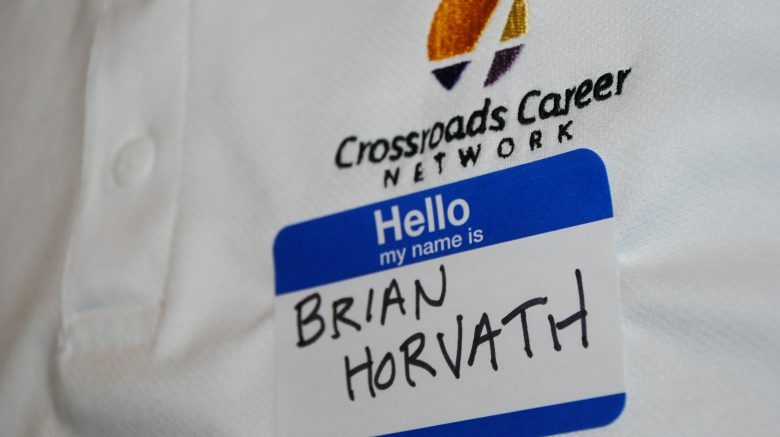 My name is Brian Horvath, and I have recently begun a new journey in life as the Crossroads Career Executive Director. My wife Becky and I with our two young children, Greyson and Ella, live in Tampa, Florida. We are ecstatic about being a part of the Crossroads Career national team. We believe God has placed us in this role for a reason – to help people know, live and love the calling God has for them. I am very thankful to the Lord, Jesus Christ, to be on this new adventure! At Grace Family Church, I have had the privilege and great responsibility to have founded and led the Finance & Career ministry (formerly Stewardship) for 11 years. The ministry started with Financial Peace University (FPU). In our first FPU class, we had 18 people, our second had 66, and one year into my volunteering, we had 225 people in our third class. The ministry that came with all of the people led to a full-time vocational ministry position. God used Dave Ramsey’s FPU to change my financial life as a single man and that of my family years later. Since 2007, the ministry had served 2000+ in FPU alone. God used me and my brokenness (I was a failure with money in my early adult years) to help others with His word through personal finance. In 2014, we wanted to expand the ministry reach beyond finances into helping people know, live and love God’s purpose for their finances and career. We had heard about a neighboring church, Idlewild Baptist, offering a career ministry that was touching lives in the community and we thought might be able to help us accomplish our expansion goal. Idlewild graciously hosted a friend and I on multiple Crossroads Career ministry nights. We enjoyed our experience and decided to evaluate Crossroads as our core curriculum to help people hear and follow God’s calling. We created an evaluation committee and surveyed the 7-steps week-by-week for ourselves. Every member of the committee loved the “Upward-Inward-Outward” framework and we chose to utilize Crossroads as our new career ministry curriculum. We were not disappointed and witnessed God’s handiwork with each volunteer, facilitator and participant at our networking events, workshops and small groups. At each Crossroads Career event, my team and I saw the power of Jesus through the Holy Spirit at work. People learned that Jeremiah 29:11 applied to them. They were excited, and like most, asked the question, “Now what?” Through Crossroads, people practically learned how to leverage God’s truth in Jeremiah. Across the country, people of all ages, ethnicities, backgrounds are learning how to hear and follow God’s calling using Crossroads. People are learning, foundationally, that God has a plan for them. They are learning how to hear and follow that plan. Yes, God has the job and career for people, but He ultimately wants people to know His calling on their lives. Like FPU does for people in their finances, I believe God wants to do that for people in a major way across this great country of ours through God’s calling and career. It is my strong belief that Crossroads is the vehicle to do just that. That belief led me to my interest as Executive Director for Crossroads Career. The Board, my family and I did not take this opportunity lightly. There were months of prayer, Bible study, due diligence and counsel as well as multiple conversations with each Board member. I was impressed the passion that the Board displayed for the mission of the ministry. It was apparent to me that the goal was not just putting people back to work or providing people tools to advance their career, the Board wanted to be more influential. They wanted to see people in their calling empowering them to grow the kingdom of God just as the Great Commission teaches us (Matthew 28:19-20). This is the kind of team that I want to be a part of and have the opportunity to lead. That is why I am here as the new Executive Director. This is my calling. I am looking forward to meeting all of my teammates across the country who are serving Christ and helping people hear and follow God’s calling! Mark, thanks so much! I look forward to meeting you and serving with you!